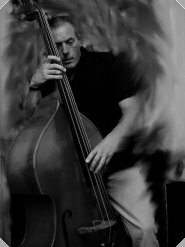 This part of the site is dedicated to providing bass cover for all situations from one off gigs to short tours & studio work. Whatever the reason read on and maybe I can help. 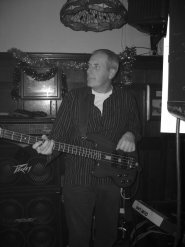 Having been a bass player for longer than I want to admit, Over the years I have managed to play my way through most styles including Brit Pop, New Wave, RnB, Jive, Swing, RnR, Functions and some pretty freaky stuff too. 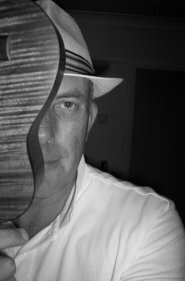 From Newport to Newcastle, Great Yarmouth to North Wales as well as some of central Europe as both band leader and side man. Available for one off gigs & short tours I am easy going and often able to “wing it” if need be! I can meet any dress code from “just out of bed” to the full “James Bond”. During my playing career I have acquired a reputation for reliability, dedication and overall professionalism. Having been a band leader I know just how stressful these situations can be when you need to fill the bass place at short notice. I have been taking on this type of work for a number of years from high profile engagements to local pub gigs and made some good friends who now consider me their first call when they need help. Even if I can’t do it I might know of someone who can!